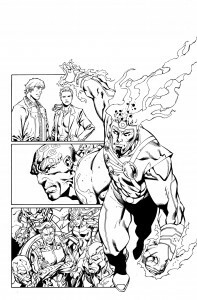 When you sit and think about it, writing and drawing a comic series and promoting one’s self on social media is at least a two person job. Unfortunately there is only me, so something usually gets left out. In this case, it’s the blog on my own website! I just realized I hadn’t blogged anything in a month and only twice in the last two months. If I was paying myself I would fire myself. Oh well, good help is hard to find, so I will give myself at least one more chance. So here we go. 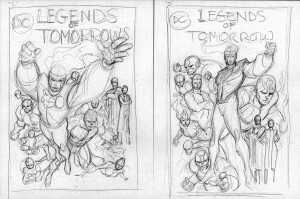 Let’s take a look at the cover I did (with some help from my friends) for the premiere issue of DC’s new anthology book, Legends of Tomorrow. 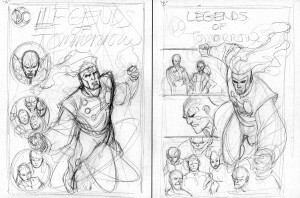 After drawing the first two covers to Metamorpho, I was informed that it was being absorbed into a giant anthology book. Marie Javins (anthology editor) was kind enough to throw the cover of the first issue to me. 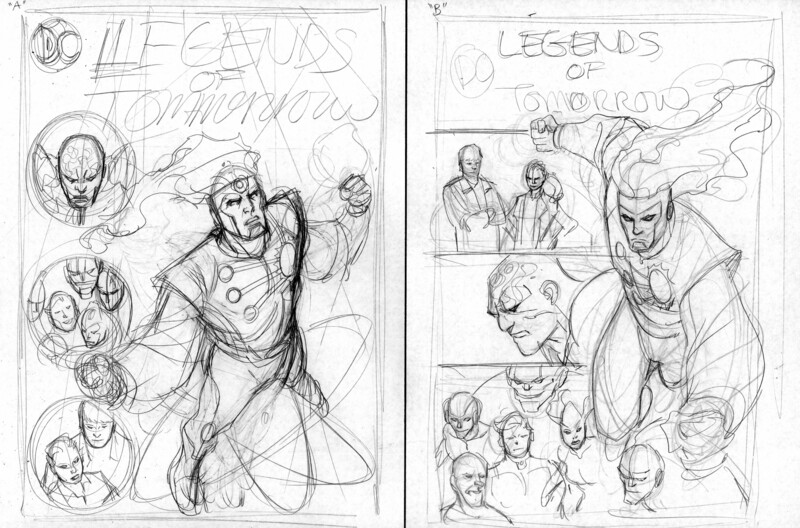 Anthologies are hard to design covers for. You have multiple characters or stories in the book and no knowledge of the particular stories. So you have to do something generic that still looks cool and sellable. 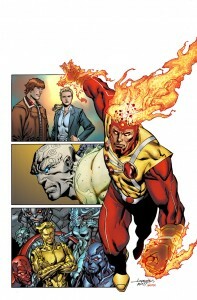 Firestorm is in the book and deemed the most popular and well known of the characters appearing in the anthology so he had to be prominently featured on the cover. 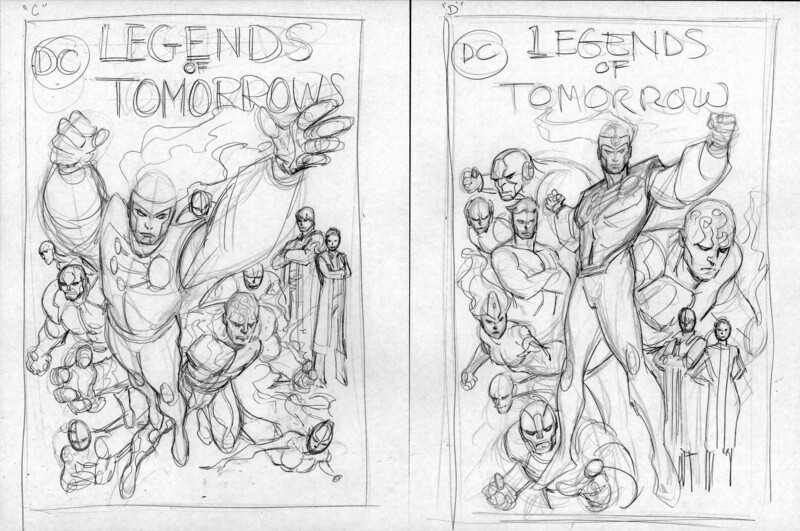 As usual I came up with several design sketches for the cover. The second one got picked and I was off to the races. Not literally, I actually just started drawing. 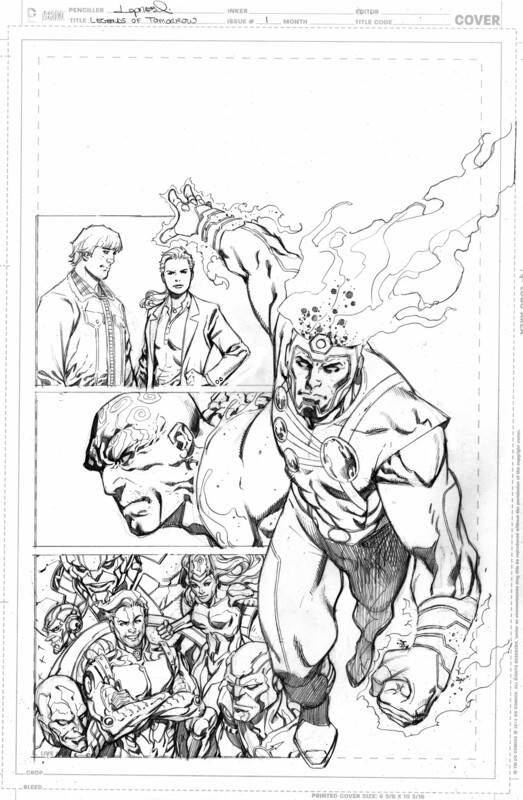 The finished pencil looked something like this (well, exactly like this). You’ll notice that I left room at the top for the logo. 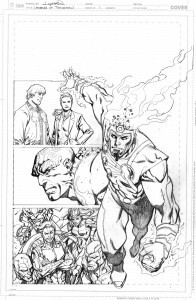 Now normally I would ink this myself but being the kind generous soul that I am, I let Matt Banning ink it because he was inking me on the Metamorpho interiors and I wanted to show him some appreciation for the excellent work he was doing. So he inked it and it looked fantastic as you can see. 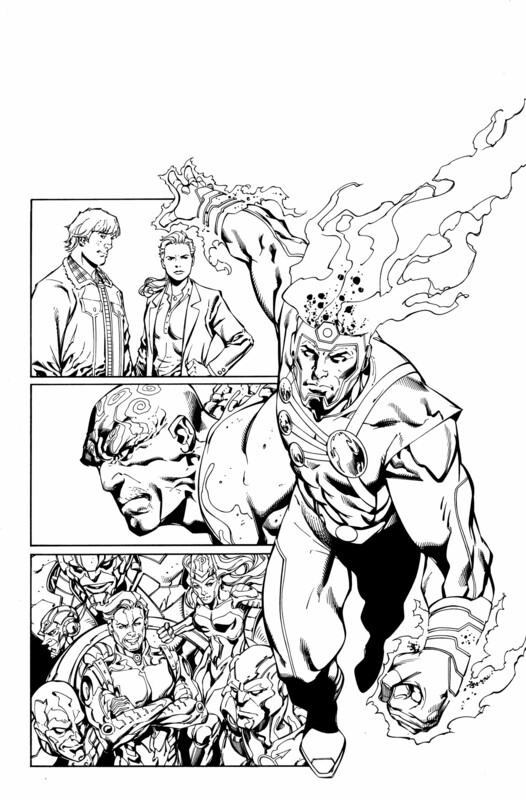 Of course at this stage I would start coloring but instead a gave it off to Chris Sotomayor, who was coloring Metamorpho for me. He used his striking rich colors that he is known for and came up with this finished product. So here you have a nice collaboration between three people that produced a quality piece of art. It is always exciting to work with good people because you get something different than what you would produce on your own. 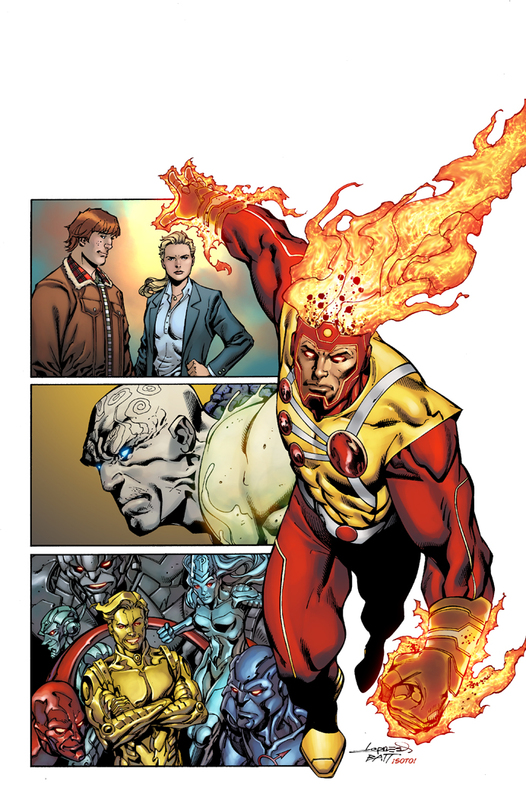 Whenever I work with inkers and colorists I always tell them, “I don’t care what you do as long as it looks good when you’re done”. That’s not always the case but here it worked out well. Until I have something to say that I can’t hold in….Cheers!